Cheap Windows VPS offers inexpensive, reliable and instantly setup Pure SSD Windows Virtual Private Servers VPS RDP Hosting in multiple locations in the United States and Europe. We’ve upgraded our servers from Dual 6 Core to Dual 10 processors doubling the memory on all of our plans. We’re adding more sustenance to our offering. 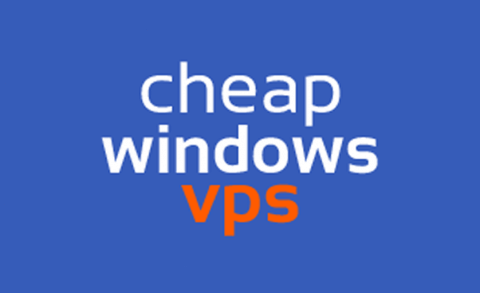 If you’re hungry to get a seat at the Cheap Windows VPS table we’re offering up to a 33% discount! 50% recurring discount on our most popular 2 GB unmetered bandwidth VPS plan on a 3 month billing cycle. Each Windows VPS comes standard with an enhanced 1Gbps burstable connection. With a robust 1Gbps port, your VPS can rapidly retrieve and upload data without bottlenecks. We closely monitor the uptime and performance of our VPS nodes. We guarantee that your VPS will be available 99.99% of the time. See our Service Level Agreement for more details. Our SSDs utilize RAID 50. If a disk were to fail, your VPS will automatically failover to one of the two hot spares available within the RAID 50 storage array. Completely administer your Windows VPS using RDP & SolusVM. Get in-depth analytics about your VPS as well as full administrative capabilities using the SolusVM dashboard. Whether its 3PM or 3AM, we’re always here to help. We enthusiastically provide 24/7/365 support for our virtual private servers. Our average resolution time is less than 30 minutes. CheapWindowsVPS allows you to custom tailor your VPS to match your needs. Many of our clients use their dedicated Windows VPS as a virtual desktop.